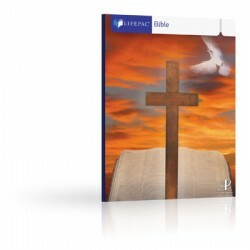 Living for God" Help your 3rd grade student understand the importance of loving God with the LIFEPAC 3rd Grade Bible Unit 1 Worktext. This colorful booklet covers being obedient, worshipping, praising, and serving. Stories and Bible verses reinforce God's love and care. Age-appropriate applications make these lessons personal for each child.